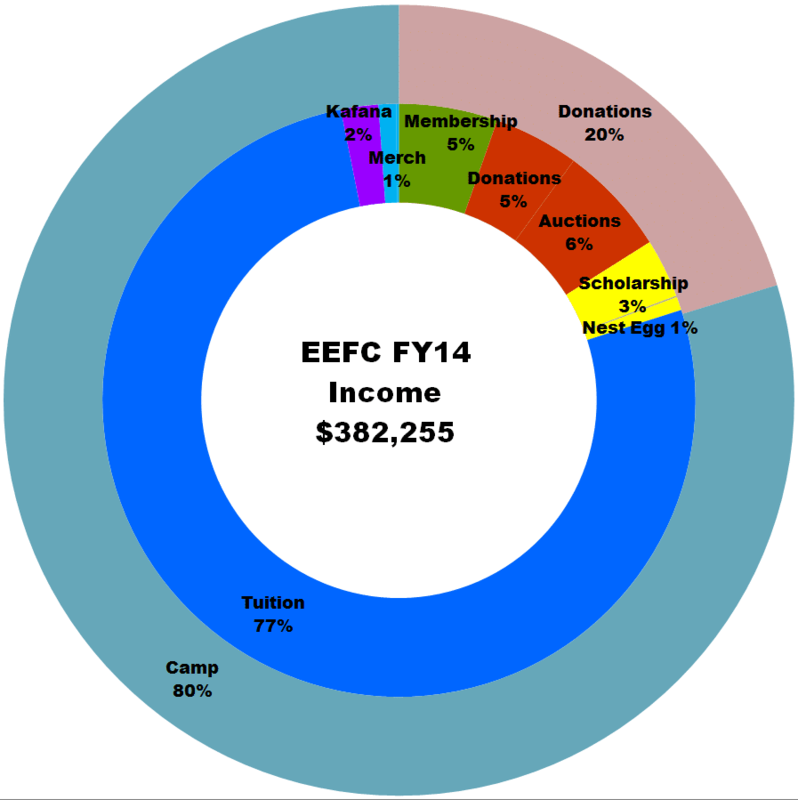 The EEFC completed our 2015 fiscal year in September. Our financial results for 2015 are not yet ready for publication. We will work to post them soon, hopefully within the next few months. 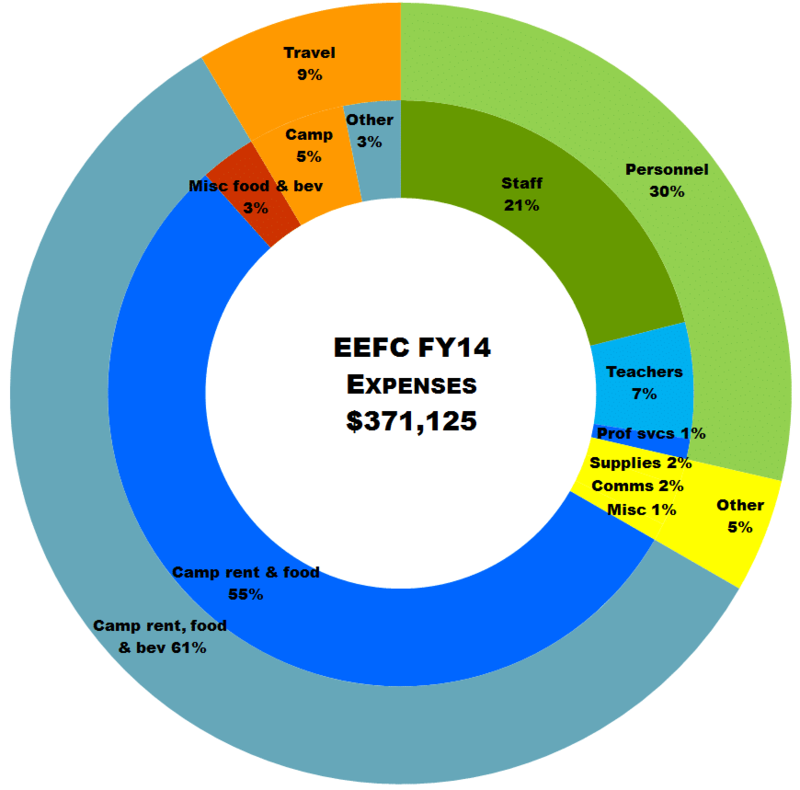 We have been very slow to post Income & Expense graphs from FY 2014, here they are, below. Click on either graphic to see it full size…. Prior year FY2010-2013 charts are available here: https://eefc.org/financials/. You may wish to print out charts to compare them side by side. We realize that variations in categories and formatting make it harder to compare year to year. The changes in categories on these charts is largely a result of changes in the EEFC budgeting and accounting procedures. Questions or suggestions can be emailed to the board liaison at board@eefc.org. Inner rings have more detailed categories, outer rings are summary categories. Inner ring colors are intended for comparison with FY 2013 charts. Income chart – Scholarship and Nest Egg funds are restricted and technically accounted for as income in the year they are moved to the general fund (the year they are spent). In this chart we include FY2014 contributions to these funds.